A promising new face on the fictional crime scene is always an exciting event, so let's give a warm welcome to police detective Bruno Van Leeuwen. Set in Amsterdam and against the backdrop of 'Queen's Day', a spring national holiday celebrated with masquerade and revelry, the new sleuth's first mystery opens with the murder of a teenage boy in the city's Vondelpark. The discovery is gruesome; the boy's brain has been removed in what later transpires to be part of a ritual mutilation. Van Leeuwen has few clues to go on - a brief impression of the murderer as someone small and with chalky-white skin, and a bamboo splinter discovered at the scene of the crime. Immense perseverance and a degree of 'hunch' are required to keep the sleuth on the murderer's trail, especially as he is up against an egomaniac boss, nicknamed 'The Ayatollah', who questions his methods and lack of progress. He is also held back by private sadness, his wife's incipient Alzheimer's, and the third-person narration moves along these parallel threads. Claus Cornelius Fischer was born in Berlin in 1951 and now lives in Munich. Since 1976 he has been working as a freelance writer and translator. 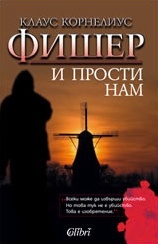 Fischer is an author of many novels and is also one of the screen play writers of the crime television series “Scene of the Crime”.